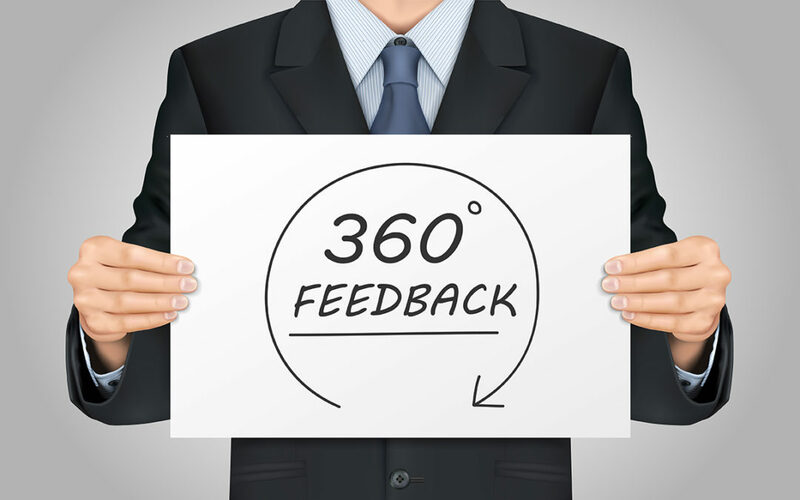 Attn: Leaders – What is 360-Degree Feedback Good For? The 360-degree feedback is a way for managers and team leaders to get wide-ranging feedback about themselves, team members, and workplace culture. By using anonymous, standardized paper or software questionnaires, 360 systems collect data from a large group of people who have frequent interactions with the person or persons evaluated. The 360-degree feedback does not offer solutions to problems. Instead, it reveals issues you don’t yet know exist because no one has bothered to put them out in the open. But Isn’t 360 Degree Feedback Overrated? 360 programs became trendy and overused by people who didn’t understand their purpose, but let’s not throw the baby out with the bathwater just yet. When used in combination with other more individualized management tools, 360 feedback gives managers valuable information about their teams, mainly because its anonymous approach lets people say things they might not otherwise say. It’s still up to you, as a leader, to use that information appropriately. Imagine a team leader with a sluggish and evasive team. The problem seems elusive, and team members have little in the way of specific complaints, but still, they don’t work well. This leader can pick their brains individually. They can have long meetings with lots of platitudes, niceties, and no progress. Maybe there is no specific problem to be found, but the workplace culture still seems unproductive and off-putting. When given a chance at anonymous feedback, people will reveal problems that managers are blind to, that no one wants to mention because they’re too small to bother with or too big to own up to. Maybe the problem is a team member who isn’t pulling their weight, but no one wants to be a tattletale. Perhaps the problem is management direction that the team doesn’t believe will work. The problem could be a workplace culture that includes cliques and bullying. Anonymously, team members can reveal these problems, and the volume of comparable data in 360 systems lets managers easily assess how widespread problems are. 360 feedback is not a replacement for other management tools and approaches. It is not the magical, do-it-all tool. You are still going to need individualized performance evaluations, clear leadership, vision, and practical motivation strategies. Only a device, 360-degree feedback is dependent on the skill of the user. The 360-degree feedback is particularly good at revealing workplace culture problems. Given anonymity, people often lose their filter, resorting to uncalled for negativity and flat-out insults. That is not a problem with 360 programs. Instead, it’s a sign of problems with an adverse workplace culture that must be fixed to create a well-functioning team. When feedback is profoundly negative, ask yourself if you encouraged this negative environment through your management approach. Have management policies helped undue competition between team members, leading to excessive negative behavior, such as bullying and an inability to work together without backstabbing? Sometimes, such as on teams in sales and marketing, some healthy competitive behavior is typical and expected. However, even in these environments, where a healthy amount of competition encourages high performance, excessive negativity can leave people pushing too hard, their desperation leading to stress and decreased productivity. Or worse, team members might discover that it’s easier to sabotage other people’s work rather than improve their own. Problems aren’t all that 360-degree feedback reveals. It should also help point out and confirm what’s going well and what should be preserved. Don’t be the manager that reorganizes the break room, attempting to increase morale, when people were already happy with it as is. If most of the feedback is negative, there are almost always a few positive responses, even if it is just the break room. Make sure the positive results are preserved during changes if possible and make them the core of changes if appropriate. Change is always unsettling, even if it is sorely needed, but keeping the few things team members do like helps soften the blow. It is possible to overuse 360 feedback systems. For a time, they became trendy, watered-down, and disfigured. However, when used correctly, 360 feedback is an excellent tool for your management tool belt. When teams seem stagnant and evasive, negative and disorderly, it might just be the right tool for the job, burying you in useful data that reveals problems so that you can find solutions. Barry, Norma. People Management in a Week. London: John Murray Learning, 2016. Jackson, Eric. The 7 Reasons Why 360 Degree Feedback Programs Fail. 17 August 2012. Forbes.